Home » » GET READY WITH CAPS ....BASEBALL.. GET READY WITH CAPS ....BASEBALL.. Put on your baseball cap and get ready for some great baseball games! We got a great collection of the best online baseball games. Step up to the plate and see how many home runs you can smack out of the park. 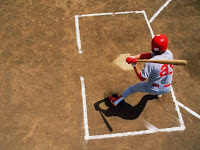 Play the best free online baseball games right here. You can play these titles for just as long, if you like, or you can just make it a quick break during lunch or your commute. You don't need to go anywhere and you're more involved in the action than just watching on TV. When you play baseball games online, there's no need to worry about the weather, lousy seats, or your ability to pitch or bat in real life. Even if you don't have a strong throw, you can master the perfect virtual pitch with practice while improving hand-eye coordination as you go. These games let you play as kids or adults. The graphics can be totally cartoonish or utterly realistic. Practice your game on the neighborhood sandlot or perfect it in full-stadium play. Bat from up close or at a distance using a variety of styles.